Oh yea. Great docks. Glad you joined in with your dock skills. It's my pleasure !! thanks for let me use your avatar as icon on the dock preview ! Rock da hoUse AND !! Many thanks for the nice feedback mates and for let me use your avatars as icon on the dock preview ! 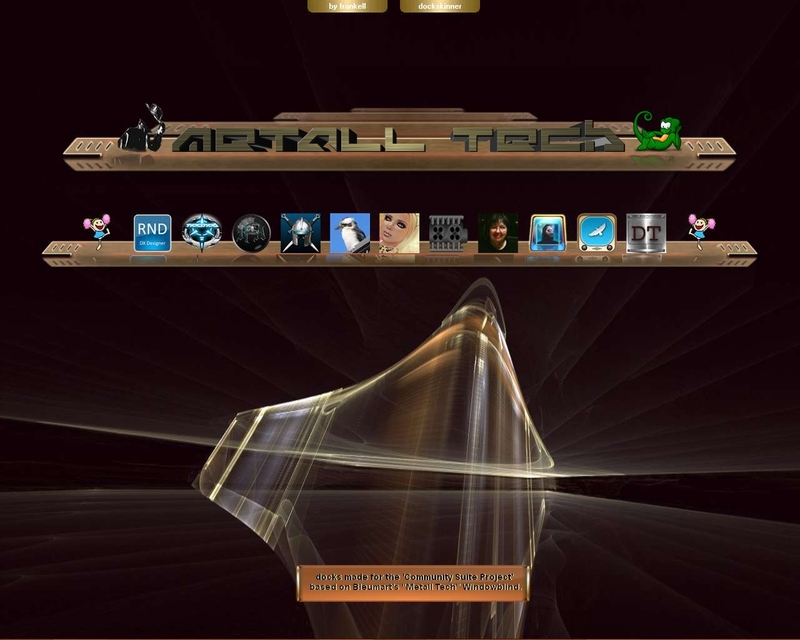 I really couldn't resist to partecipate to the Community Suite Project "Metall Tech" ! yes my dear with the imagination power we can be here, there and everywhere !! Beautiful.. I downloaded them.... but...and I am truly sorry.. I'm not a newbe but these used to load when they were dockzip file extentions, now they don't. Need a referesher course. How do you install these? just double click on it or use any unzipper application then move the 2 folders and the image file permission to the Object Dock > Dockbackgrounds folder and ... let me know !